Denver is a truly wonderful city, with much to offer it’s residents. Most of the city, with the exception of a few newer neighborhoods to the northeast near Denver International Airport, is with 15 driving minutes of Downtown. Denver is a city of parks, trees, and active people. Residents enjoy the largest performing arts center in the world (DPAC or the Plex), abundant dedicated bicycle routes, more professional sports teams than most other major cities, playing in venues that are close to the City Center. Denver is the headquarters for the Rocky Mountain West, literally the financial, political, and cultural center for an 8 state region. The Denver Art Museum is world class, as is the Denver Museum of Nature and Science. located at City Park. Also at City Park, just east of downtown, you and the kids will enjoy the Denver Zoo. Denver is all about great neighborhoods, from Park Hill to the east, Washington Park, Bonnie Brae and Hilltop in south Denver, and the Highlands and Sloan lake neighborhoods in Northwest Denver. 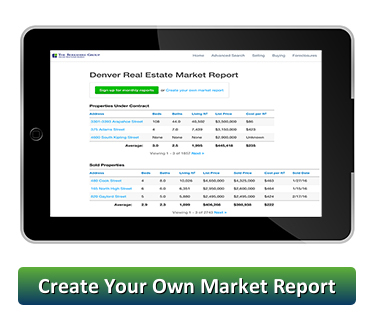 The REALTORS® of The Berkshire Group know Denver. We are actively involved in the city and its charming western lifestyle. By choosing a Berkshire Group associate, you will enjoy the services of a highly trained, certified and experienced professional, a career REALTOR® that works full time at being the best in the business. Call us, we are always ready to help you buy or sell a home in the city we love.